In body building circles, people throw around the term “bulking“. It’s generally accepted to be part of a bulk and cut process whereby one eats in excess, lifts heavy at the gym, makes huge LBM gains, and then strips away excess body fat to reveal larger muscles. Men in particular pile on a lot of fat all in the name of bulking. The truth of what is possible with bulking varies depending upon a variety of factors including gender, training age, genetic potential. In my case, I am a 48 year old woman with a long history of training who simply needed to regain lost strength. So right there, it is somewhat misleading to even be talking about bulking, and yet many people would claim my results indicated a successful bulk. The truth about gaining muscle is that once muscle tissue has been built, it is a much faster process to get back to previous levels of strength. I still pushed myself very hard. For example, I could barely do a body weight squat in early December and now I am back to being able to squat 135 pounds and on track to increased loads over time. You have likely figured out by now that I did not “bulk” in the traditional sense of the term in body building circles. Instead, I used the tools as laid out to carefully eat enough to allow my strength increases to continue to unfold and I constantly monitored my waist and belly button measurements. Every time the waist or the belly button increased, I increased my caloric deficit via the principles in Eat Stop Eat until I saw my baseline numbers. I tend to loosen up a bit more on weekends. While undergoing this experiment, I carried slightly more body fat than I am comfortable with, but not much. I admit it! The entire four months I trusted John Barban and Brad Pilon on this little experiment, I watched with horror as the scale bounced around. Admittedly, it never strayed more than about 10-12 pounds higher than my contest photos, so not at all a traditional bulking cycle, but it was a little scary to see bigger numbers when I am trusting that I am living the Venus lifestyle. This is not the ripped levels you see in my contest photos but rather a very livable, maintainable, every day level that still keeps me on my toes. Naomi after her experiment at 20% body fat. 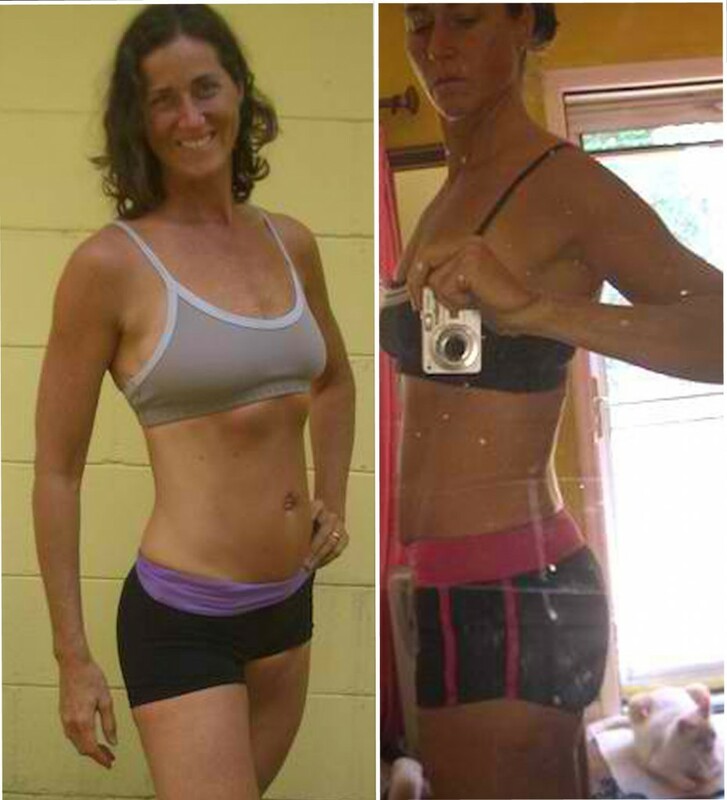 On the left fasted, on the right fully fed and hydrated. My LBM last December was shockingly low. In fact, it came in well below the levels predicted for my height. I am 5’11” and with a LBM of just under 114 pounds, I was possibly a genetic outlier on the low end of the scale. Venus Index predicts my LBM could go as high as 126 pounds. Fear not, I thought. I had just lost all my strength so presumably bulking would bring my LBM right back up to within a predicted Venus Index Ideal range. Sure enough, my DEXA scan showed my LBM at 118 pounds, 7 oz which was a gain of just over 4 pounds. That averages out to about 1 pound per month. Not bad, right? Remember that I was actually getting back what I’d lost after illness; this is not a realistic rate of gain for a trained woman my age. While I am not expecting realistically to gain much more LBM in my lifetime, I do expect to see a little more growth before I get older and as more decline sets in. Going forward I expect to see some more improvement. I would also like to get leaner. Perhaps not as lean as I was in the 4th Venus Transformation Contest, but possibly similar to the 1st Venus Transformation Contest. I was surprised to see my android (above the belt) vs gynoid (below the belt) fat ratio slightly improved. Considering how much time I’d spent sedentary before the last DEXA scan, I was carrying 20.1% android fat as compared to 19.7% this time around while gynoid fat went from 29.5% to 29.4%. While these numbers seem quite similar, it is worth noting that since the total percentage remained the same at 20.2%, clearly there was a change in body composition. This is solid proof that a well-designed weight lifting program like Venus Index positively affects both physique and health. As John realized in his DEXA scan, it is possible to have muscle imbalances. I was surprised to note that on both of my DEXA scans the entire left side of my body is stronger. I will be tailoring my workouts to address this issue according to the guidelines John talked about. For example I will do fewer reps or sets on the left to allow the lagging right side to catch up. My bone density actually went up in the last 4 months! I can only guess that weight lifting caused this happy result. Ladies, pick up those weights if you want to maintain or increase your bone density! 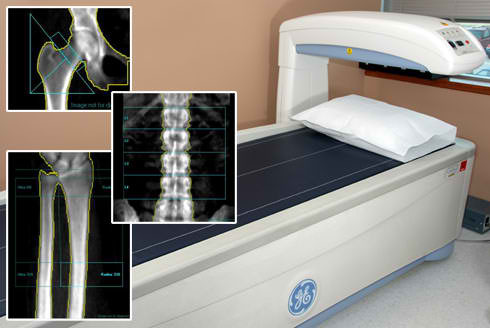 Bone density is the most common reason most women my age have a DEXA scan done. It can also be used to monitor body composition and is a useful tool when choosing goals and designing your workout. If you’ve had a DEXA, what did you learn and how did it affect your training program and goals?